47° edition 100Km del Passatore 25th/26th May 2019 ORGANIZATION: 100KM DEL PASSATORE AMATEUR ASSOCIATION Via Cavour, n° 7 – 48018 FAENZA (Ra) – ITALY Tel.+39-0546-664603 – Fax 0039-0546- 687804 Email: info@100kmdelpassatore.it The 100 KM DEL PASSATORE takes place in conformity with I.A.A.F.-I.A.U. rules and regulations and under F.I.D.A.L. (Italian Athletic Federation) marshals control and with the support of Regional governments of Emilia Romagna and Toscana, the Florence City Administration, Ravenna Provincial Administration, the Municipalities of Faenza, Florence, Fiesole, Borgo S.Lorenzo, Marradi and Brisghella. STARTING: Florence, Piazza del Duomo, Saturday 25th May 2019 3 p.m. ARRIVAL: Faenza, Piazza del Popolo – Deadline: 11:00 a.m. of Sunday 26th May 2019. Time limit is 20 hours. PARTICIPATION: Both men and women may participate. The minimum age required is 20 years. Since the race takes place in conformity with FIDAL and IAAF/IAU instructions, participation with other sporting equipment is not allowed. Paralympic athletes: The participation of Paralympic athletes who use the so called “Hand-bike” is not allowed for a single athlete, but only for coordinated and prearranged groups; this is for both for the protection of the health of the participants and to guarantee the safety of the race, of the Paralympics athletes and of all the participants. Registration without the payment of the fee will not be accepted. APPLICATIONS: Payment of registration fee by bank transfer to: – BCC Ravennate Forlivese e Imolese bank coordinate IBAN Iban IT 25 O 08542 23700 000000274249 BIC SWIFT ICRAITRRF20; – credit card (Visa, Mastercard) on our WebSite – c/c postale n. 10586485 – 100 km del Passatore – Faenza. Use the registration form on our Website, fill it out, sign it and send it to us by fax or e-mail. to the presentation of a valid and current medical certificate for sporting competition specific for athletics which must be presented in the original to the organizers of the event, a copy of which must be archived in the records of the organizing body for each event. The medical certificate for foreign athletes may be issued in the country of residence, but must be issued following the same examinations required by Italian regulations, a) medical examination, b) a complete analysis of urine, c) an electrocardiogram at rest and after effort, d) spirography. to the presentation of a valid and current medical certificate for sporting competition specific for athletics which must be presented in the original to the organizers of the event, a copy of which must be archived in the records of the organizing body for each event. The medical certificate for foreign athletes may be issued in the country of residence, but must be issued following the same examinations required by Italian regulations, q) medical examination, b)a complete analysis of urine, c) an electrocardiogram at rest and after effort, d) spirography. The bib numbers from 10 to 150 will be assigned according to previous results. GROUPS: Groups are intended to be of a minimum of six runners. It is necessary to declare the list of the athletes at the registration. BIB NUMBERS: Bib numbers will be distributed by showing the receipt of the payment, starting from 18 to 23 May 2019 from 9 a.m. to 12 a.m. and from 3 p.m to 7 p.m. by the Organizing Board, in Faenza – Via Cavour, 7. During the other days, except for Sunday, the distribution continues in the Office from 9:00 to 12:00 and from 15:00 to 19:00. The numbers will also be available Saturday 25/05/2019 from 10.30 a.m. to 2:00 pm in PIAZZA VITTORIO VENETO in FLORENCE. Runners must wear the bib numbers visibly; in case of alterations of the dimensions, symbols and words, athletes will be disqualified. ROUTE: The race is officially over a distance of 100 Km, and is IAAF/IAU tested; it is developed along country and state roads from Florence-Fiesole-Borgo San Lorenzo, Marradi, Brisighella to Faenza, all asphalted: signals every 5 Km. During the night it is compulsory to wear reflective strips or have a torch. SERVICES: Free refreshments will be handed along the race distance, about every 5 km, and on the arrival-point. Sponging is provided up to Borgo San Lorenzo. RUNNERS TRANSPORT: On Saturday 25, May 2019, at 8.30 a.m., in Faenza, in front of Gym G.Lucchesi (Via Monsignor Vincenzo Cimatti, 3) the bus to Florence for runners will be available only by reservation (also by fax or e-mail), with a contribution of € 20.00. At the end of the race, buses will be available for transfers to Gym G.Lucchesi (Via Monsignor Vincenzo Cimatti, 3) in Faenza, where showers, dressing room, massages and rest rooms are at available. The bicycles, opportunely labelled with the name and surname of the owner, will be transported by the truck that will leave after the last bus from Faenza (Palestra [Gym] Lucchesi, via Monsignor Vincenzo Cimatti) and must be picked up upon presentation of an identity document between 12 noon until 12.30pm at Piazza VITTORIO VENETO Novella in Florence. Bicycles not picked up will be put into storage at the Cooperativa Trasporti at Riolo Terme (province of Ravenna) because the truck will not be able to park in the piazza for a long time. Bus n.3 will carry a change of clothes and stop in Passo della Colla,km 48. The clothes will be carried to Faenza within 1 and 5 am Sunday 26ht May 2019. Medical assistance and first aid: Firenze, Saletta, Fiesole, Olmo, Polcanto, Faltona, Borgo San Lorenzo, Ronta, Razzuolo, Colla di Casaglia, Casaglia, Crespino, Marradi, Sant’Adriano, San Cassiano, Srtada Casale, Fognano, Brisighella, Errano, Faenza. Massages: Olmo, Borgo San Lorenzo, Razzuolo, Colla di Casaglia, Casaglia, Marradi, San Cassiano, Fognano, Brisighella, Errano, Faenza, Lucchesi’s gym. Assistance for runners who want to withdraw and service of transport of retired athletes guaranteed. Radio Assistance: connection with all services set by the Organization. Refreshments: every 5 km. Railway Line Firenze-Faenza: stops in Borgo San Lorenzo, Panicaglia, Ronta, Crespino, Biforco, Marradi, Popolano, S. Martino in Gattara, S. Cassiano, S. Eufemia, Strada Casale, Fognano, Brisighella, Faenza (www.trenitalia.it). Each runner should be self-sufficient and have his/her own electric torch, fluorescent bands, etc. for the night. In order to avoid health hazards to runners from carbon monoxide and traffic jams, the vehicles of followers must conform these rules: no vehicles can follow the runners. Services are supplied by: – Starting service: ADMO EMILIA ROMAGNA, Comitato Provinciale CSEN Ravenna – Medical Service: CRI Faenza, School for Medical Operators not Doctors Faenza, Coordination of Misericordie in Florence, Astrea Medical Center; – Emergency Radio Assistance: CER Faenza; – Order Service: Moto Club Faenza; – Computer Elaborations Centre Service: Evoluzioni Web Società Cooperativa; – Data Elaborations time control SDAM – Sport Data Management s.r.l. Champion chip; – Italian Interpreters: Liceo Linguistico E. Torricelli, Faenza; – Photo Service: PHOTOSPRINT CESENATICO e-mail franz@photosprint.it; tel/fax+39-0547673261; Cell. +39-347 9186715; – In collaboration with Consorzio Vini di Romagna, U.O.E.I., Società del Passatore, ADMO sezione di Faenza, Comitato Provinciale CSEN Ravenna, CAI di Faenza, Protezione Civile Faenza, Protezione Civile Provincia di Firenze, Comunità Montana del Mugello, Associazione Nazionale Carabinieri sezione “Cimmarrusti” di Borgo San Lorenzo, Associazione Nazionale Carabinieri di Faenza, CISOM Faenza, Leopodistica Faenza, C.S.I Faenza, Polisportiva Ellera, Polisportiva Fratellanza Popolare Valle del Mugnone, G.S. 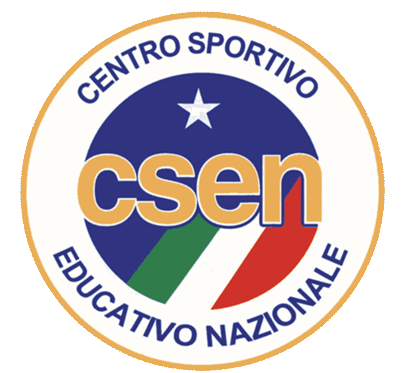 Maiano, Atletica Marciatori Mugello, Circolo Lo Stradone di Panicaglia, Associazione Turistica Pro Loco di Ronta, Casa del Popolo Razzuolo, Associazione Costes Rifugio Casaglia, Società sportiva Crespino, Unione sportiva Biforco, Confraternita della Misericordia Marradese, Club Sportivo Culturale Marradese, Pro-Loco Marradi, Associazione Nazionale Carabinieri e Associazione Nazionale Alpini in Congedo di Marradi, Associazione Sant’Adriano 2005, Camino Verde di San Cassiano, Circolo Parrocchiale di Fognano, G.P.A. Brisighella, Circolo Parrocchiale di Errano. CLASSIFICATIONS: GENERAL – MEN – WOMEN. GROUPS: a classification will be arranged according to the number of arrivals (in case of a draw the best time of the group will be considered) and a classification will consider the average of the time of the first six arrived. All rankings are validated by the Technical Delegate or the Judge of Appeal. AWARDS: A Medal and a certificate (cannot be accumulated) on arrival at Borgo San lorenzo, Colla di Casaglia, Marradi and Faenza. EACH PARTICIPANT WHO ARRIVES TO THE FINISH LINE IN FAENZA WILL RECEIVE THREE BOTTLES OF ROMAGNA OF PASSATORE OF WINE (“Vini del Passatore: i vini del benvenuto e dell’arrivederci”). To the first competitor who first passes at the 50th Km (GP della Montagna “Francesco Calderoni”) and arrives than to the final finish line in Faenza, a repayment of € 300 will be recognized. An extra prize money of € 500 will be recognized to the runner who will reach the record of the race (men 6.25.46 – women 7.34.36). 25% of the prize pool is reserved for Italian and Italian athletes. There will be prizes for the first three groups. The prize will be awarded free from possible taxes. The Awarding of the first 10 athletes, of the first 3 women, first 3 groups, will take place at 10:00 am, Sunday 26th May 2019 in Piazza del Popolo in Faenza. From the 11th place on the possible prizes may be awarded by the Organization Tent 45 minutes after the publication of the classification. The prizes that will not be taken will be available at the Secretary of the Association of the 100km race – Via Cavour, 7 48018 – Faenza until 31st October 2018, after this date they will become part of the prizes of the next edition of the 100km race. Another possible prize will be announced at the arrival in Piazza del Popolo in Faenza and drawn among the participants. Special Prize “Io c’ero”: a traditional Faenza’s Ceramic from 1976 to athletes who finished the race 5, 10, 15, 20, 25, 30, 35, 40, 45 times. If requested, athletes can request that the prizes be sent to them with the delivery costs (postage and packaging carriage forward) at their expense. APPEALS: Appeals may be presented with a paying of €100.00, returnable in case of acceptance, following rules and instructions of Technical International Regulations of FIDAL. RACE COMMISSIONER: The race commissioner, as the sole judge, supervises the technical application of this regulation: he sets the sanctions, examines the appeals. His judgment is final. He can avail himself of a COMMITTEE OF GUARANTEE, composed by three members, with the RACE DIRECTOR, the President of the Association 100 km del Passatore and a representative of the Judges. RESPONSABILITY: The Organizing Board of the “100km del Passatore” is responsible for the success of the race but declines responsibility for any damage to runners and third parties and objects before, during and after the race and responsibility for valuable objects and money left in bags. By signing up for the “100km del Passatore” race each runner attests: – he/she is physically fit and he/she has trained sufficiently for this event; – he/she assures to know and to accept the regulations, and to be more than 20 years old; – he/she knows that the 100 km race is an activity that has some risks and it is not possible to take part without training and a certificate of good health in a period of validity; – he/she declares that he/she has registered voluntarily and to accept all the risks of the participation to the race such as falling down, any kind of accident also for atmospheric conditions – he/she set the Association of the 100 km del Passatore, the sponsors, the supporting associations and everyone linked to the competition, free from any responsibility, except for the problems caused but their negligence. After the acceptance of the inscriptions the 100 km del Passatore the registration fee is not refundable; – he/she also authorizes the Organizing Board to use of photos, mechanical reproductions, films, videos, etc., without compensation and previous request. The data will follow the regulation of the Law 675/96.